Help restore a genuine station on the Underground Railroad! 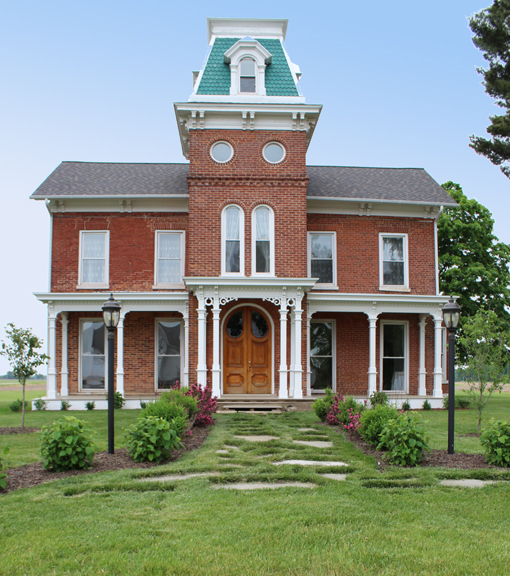 The James E. Bonine c 1850's Gothic Revival Carriage House in Vandalia Michigan needs a new roof and we need your help!! which is across the street from the Carriage House, has been lovingly restored over the past 7 years to its 2nd Empire glory. Funds are also needed to complete this project, including side and back porches and kitchen and bathroom remodel. The downstairs will be available for public and private events. The upstairs houses a research libraray and display rooms that tell the story of the UGRR in Cass County. 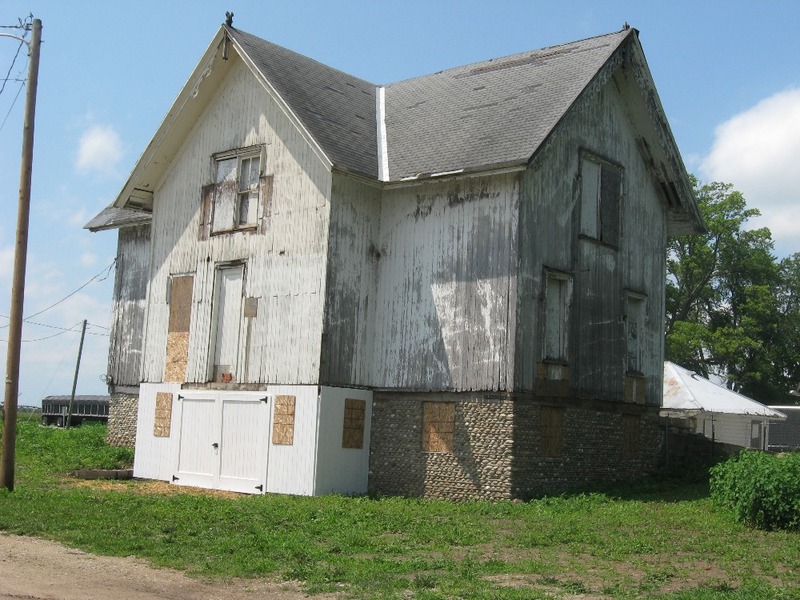 The Gothic Revival Bonine Carriage House is now being restored as a station on the UGRR and a period museum. New perimeter beams have been installed and the fieldstone/cobblestone foundation rebuilt. The entrance build out with the barn doors was recently completed. The next step is a desperately needed new roof. 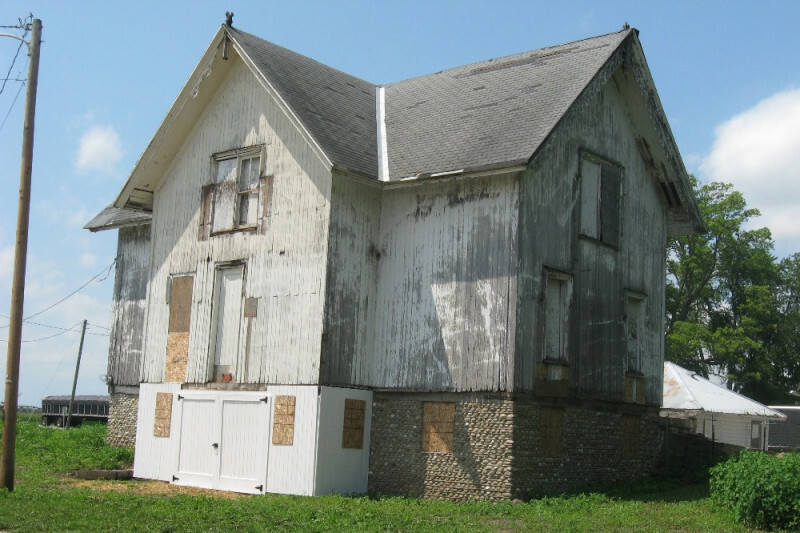 Help URSCC continue the restoration of the Carriage House to save an amazing piece of history! 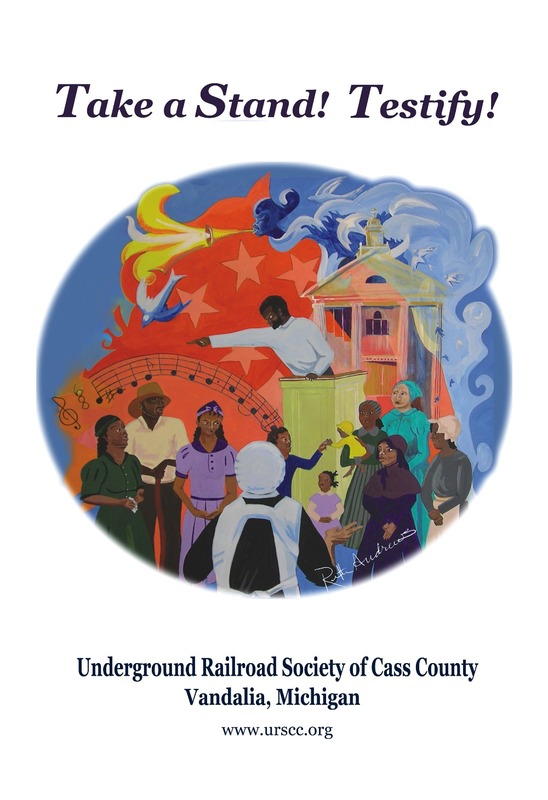 You can learn much more about the Underground Railroad in Cass County MI, URSCC, and the Bonine House and Carriage House restoration on our website www.urscc.org or our facebook page Underground Railroad Society of Cass County (Friends of the Bonine House). URSCC is a 501c3 non profit organization.Thank you for your support! URSCC salutes Black History Month. 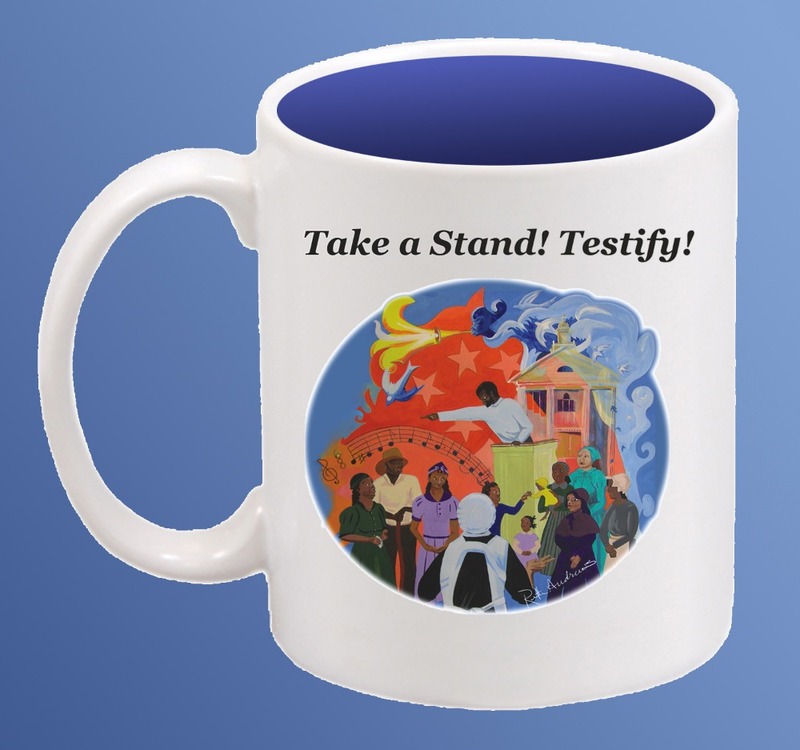 Take A Stand! Testify! 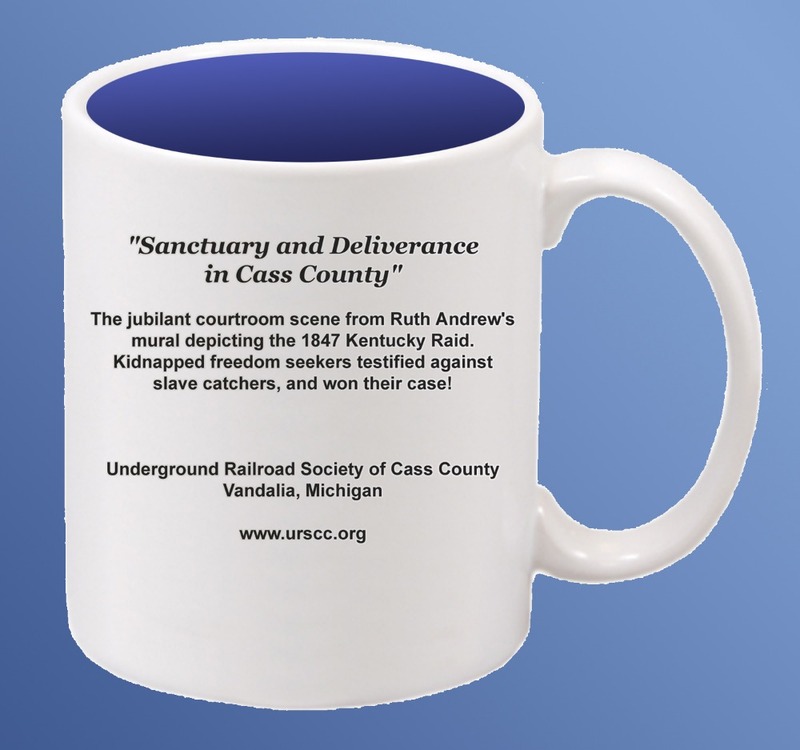 posters and mugs celebrate the 1847 Kentucky Raid. Thirteen slave catchers kidnapped nine fugitive slaves in the area around Vandalia, MI with the intention of taking them back to Kentucky. Hundreds stopped them--Quakers, free blacks and others convinced the slave catchers to go to court in Cassopolis. The secret abolitionist judge allowed slaves to testify against the slave catchers, unheard of at that time. The judge found for the freedom seekers. The poster and mug are a testament to courage and the rule of law--and we need both now. Get your mug and poster in the Bonine House gift shop on www.urscc.org. Happy New Year! We're currently in a campaign to install a chair lift on the back staircase of the Bonine House, so everyone can access our library and display rooms upstairs. A generous URSCC member will match every donation up to $5000! 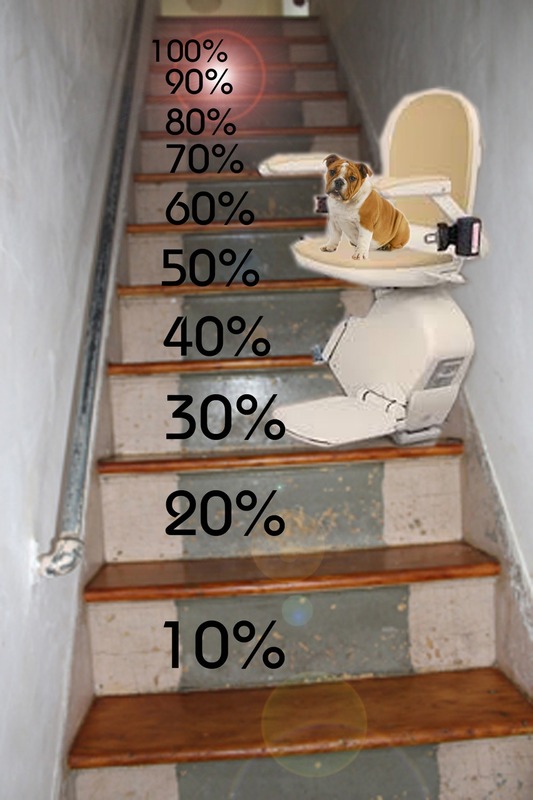 The chair lift will cost about 10k, and we're about 25% there. We appreciate your help. Thanks so much! Help me get a real chairlift! Thanks! 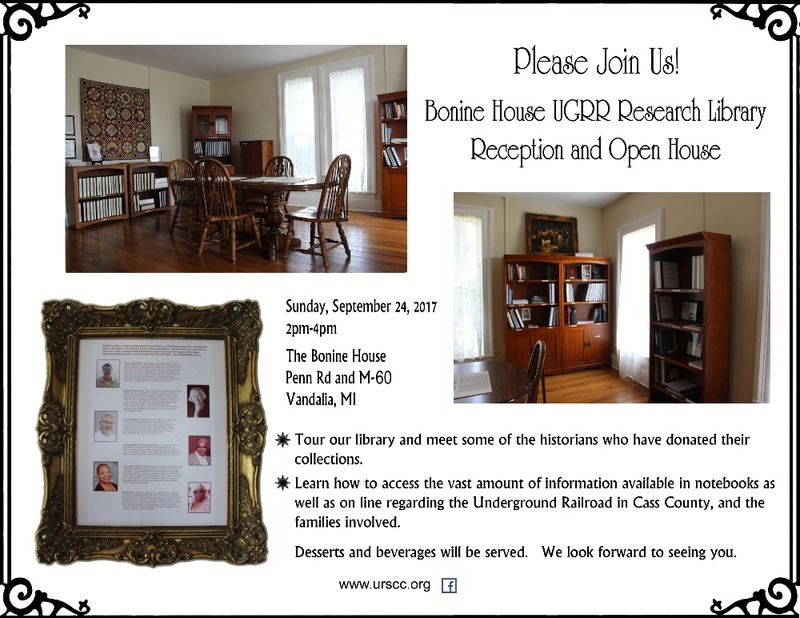 Hello-- while our campaign is focused on a new roof for the Carriage House, we are pleased to announce the grand opening of the Bonine House UGRR Research Library on September 24. All donations now through September will go toward the purchase of a chair lift for the back stairs so everyone can access this treasure. Thanks for your support! You're invited! We love to see you. In honor of the lovely Maria Jones.